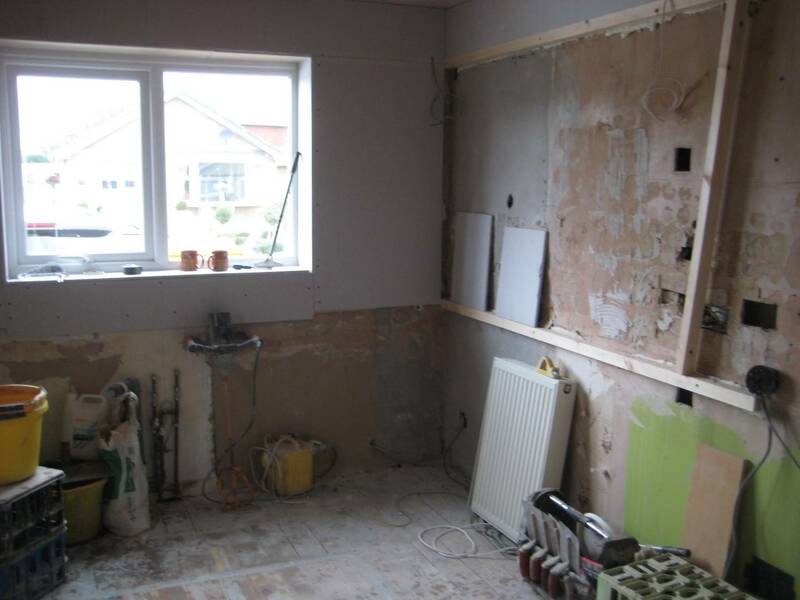 Having never had a kitchen project done before, a Wrenthorpe couple looked to Kitchens By Design to help them along the way and create them a fantastic new kitchen that maximised both existing space and functionality. When the family came into the showroom for the first time, they were met by Jamie who showed them around the showroom to give them an initial feel of what services that we could offer them. 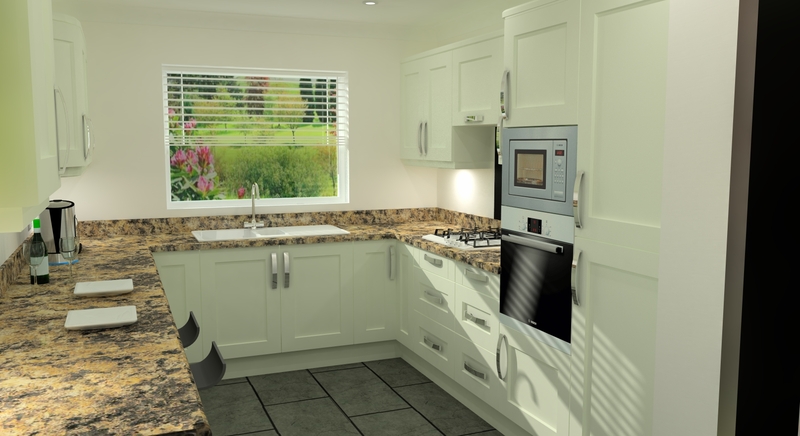 They were immediatly interested so requested our free design home consultation service and within the same day received back an initial design that they were very happy with. 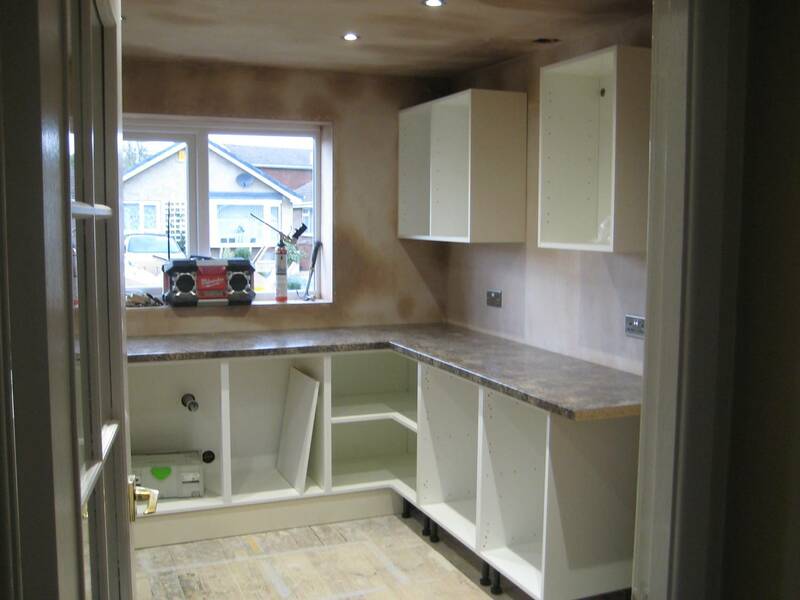 Jamie utilized the space well, creating a breakfast bar eating area, whilst keeping their laundry appliances easily accesible. Jamie also incorporated curved wall units into the design, which assisted in bringing in much more natural light and making the room feel more welcoming. The colour choice was Solent Oyster, which is a Matt Shaker Style Door which is a modern twist on the traditional shaker look and feel. 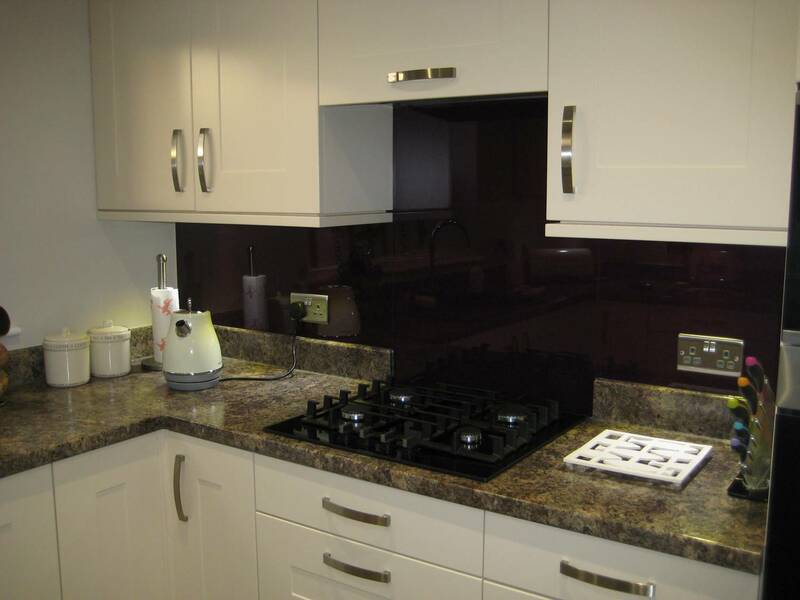 Once the door was chosen it was paired with the wonderful Jamocha Granite Worktop for the ultimate contrast and warm feeling. All that was needed to complete this amazing kitchen was Jurastone Moduleo Flooring and some stylish brushed bow handles and their new kitchen was completed infront of their very eyes. 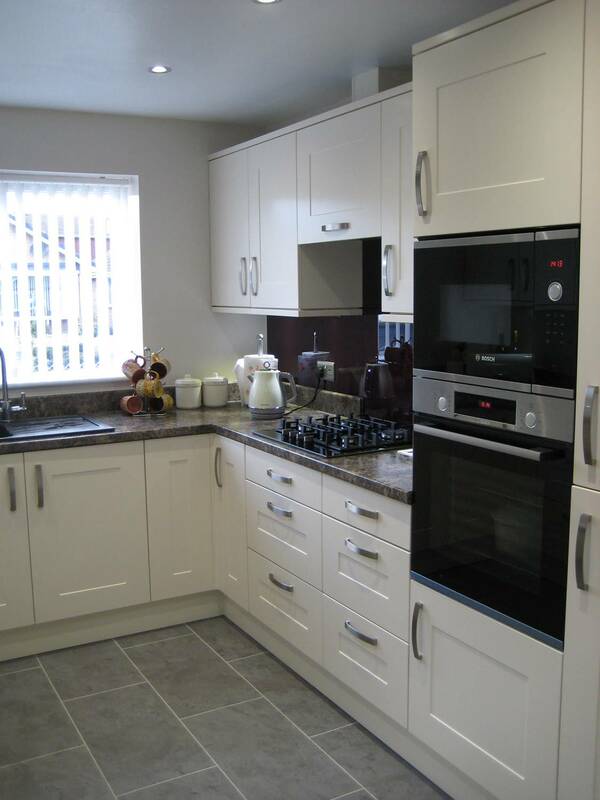 Kitted out with the latest Bosch Single Oven, Microwave, Fridge Freezer and Gas Hob we hope that your cooking experience is a much more enjoyable and stress free! 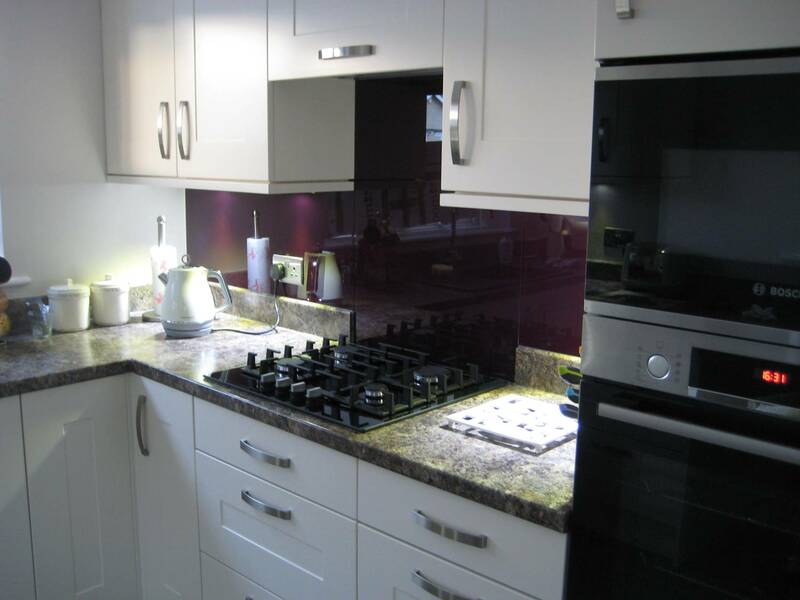 Once the kitchen had been fully installed, we arranged a glass consultation for them at home and they chose a wonderful plum purple splashback for the wall, which I think you will agree, looks incredible.